Hello and welcome to another subway story! Today we are embracing the Swedish summer and showing you a colorful display of Högdalen. Join us! 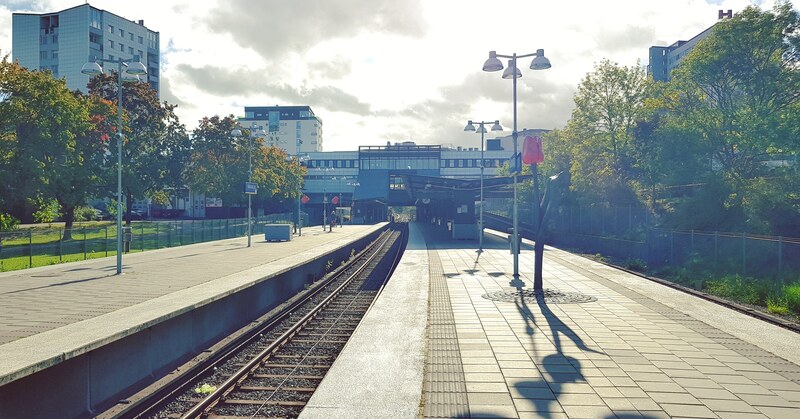 Today’s station is located in the district with the same name in the southern part of the Swedish capital. 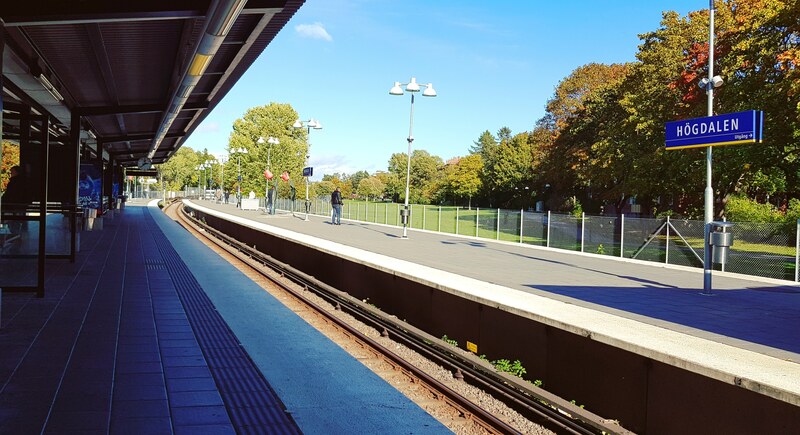 It was opened in November 1959 and for a while it was the terminus station for it’s line, until Rågsved opened southbound. 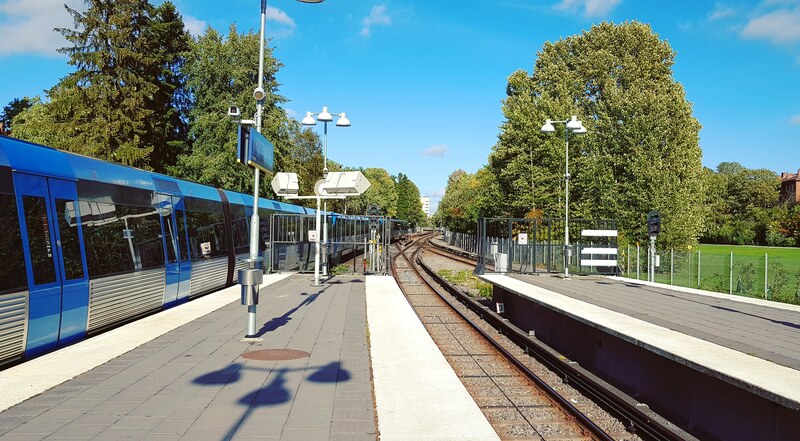 Nowadays, Högdalen is part of the green T19 line in the subway system, coming southbound after Bandhagen, at about 7.3 kilometers from Slussen. On a regular day it severs more than 8.000 passengers. The station has only one entrance, from the main square. 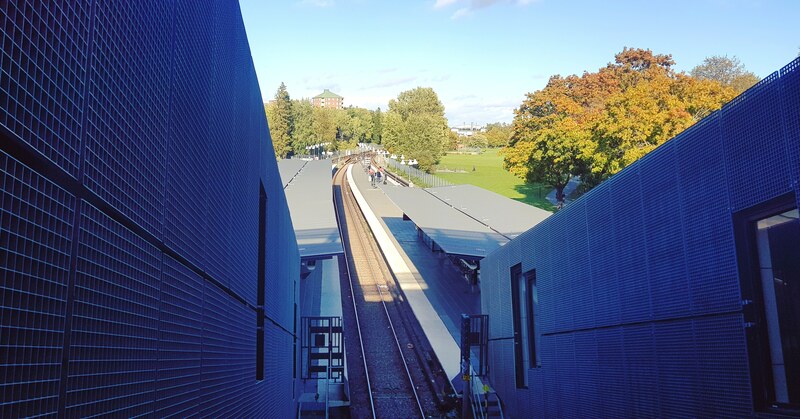 The entrance leads to the two large outdoor platforms, along which there are three tracks. 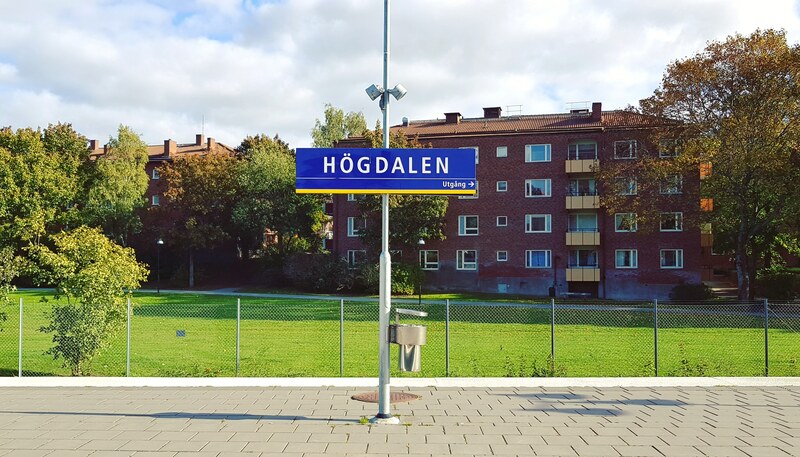 The reason for the extra track is that the station is connected to its south to the Högdalsdepån depot. 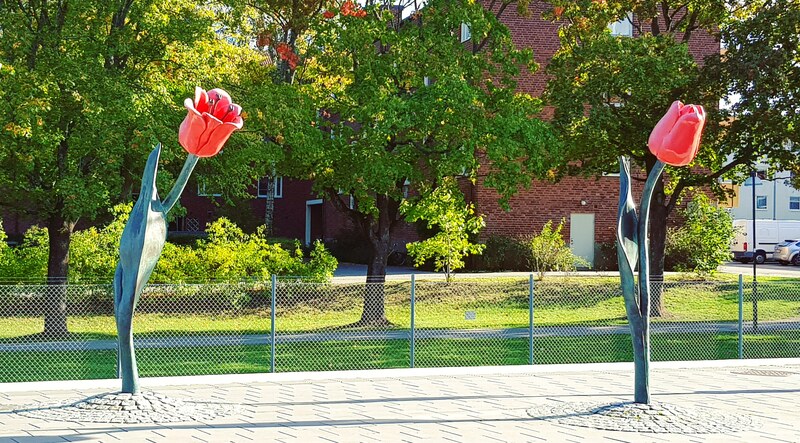 The artistic decorations here are represented by three huge red tulips placed on the platforms. They were decorated by Birgitta Muhr and installed in the station in 2002.